Following the leak of a new Air Jordan 4, we look back at the history of Eminem's sneaker collaborations. Spanning over ten years, the man born as Marshall Mathers has put together a collection of Nike collaborations that covers a wide variety of silhouettes. 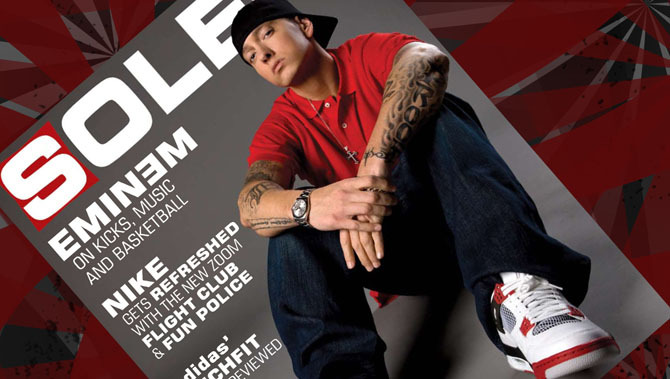 From Air Maxes to Air Jordans, Eminem's name has graced some of the most popular models in the Nike vault. These kicks have even helped launch a variety of charitable efforts involving Mr. Mathers, as well as helped celebrate the launch of some of Eminem's records over the years. With a new Air Jordan leaking last week, here is a complete look back at Eminem's Nike sneaker collaborations. The 2003 Nike Artist Series included a variety collaborations such as the ESPO x Nike AF2 and the Neptunes x Nike Dunk High. It also marked the first of what would become many collaborations with Eminem. Nicknamed the "Shady Burst," Em's take on the runner displayed a traditional grey color scheme over a suede and mesh build. One of several Nike models frequently seen on Eminem back in the day, the "Shady Burst" also featured Eminem logos on the sockliner, lace deubre, and outsole. 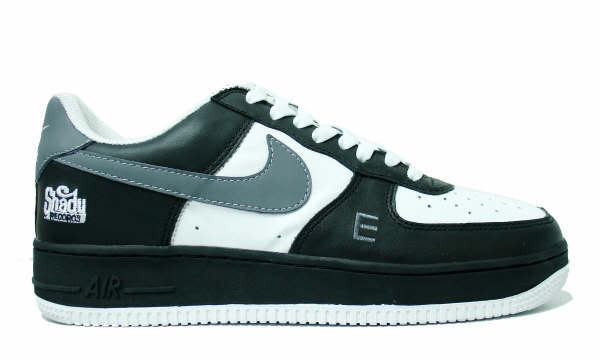 Nike treated Eminem to several friends and family versions of the Air Force 1 Low in 2004. Gifted to Shady Records to celebrate the release of Eminem's fourth major album, Encore, this particular pair featured a black, grey and white color scheme, Shady Records logo on the heel, and Eminem personalization on the forefoot. 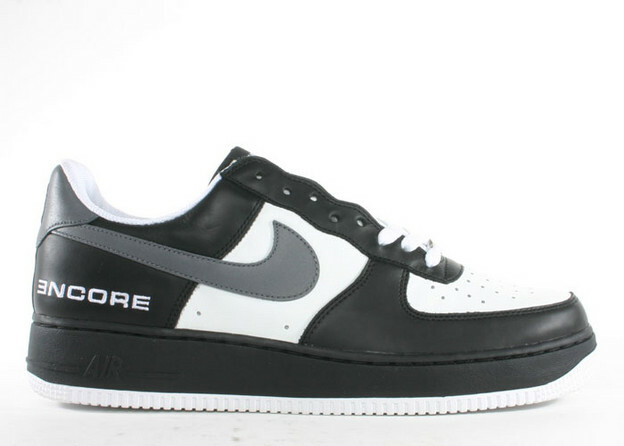 The second Air Force 1 Low commemorating the release of Encore was also produced in an exclusive amount for friends and family, and featured the same black, grey, and white color scheme. This version featured "ENCORE" embroidered on the heel with no badging on the toe. 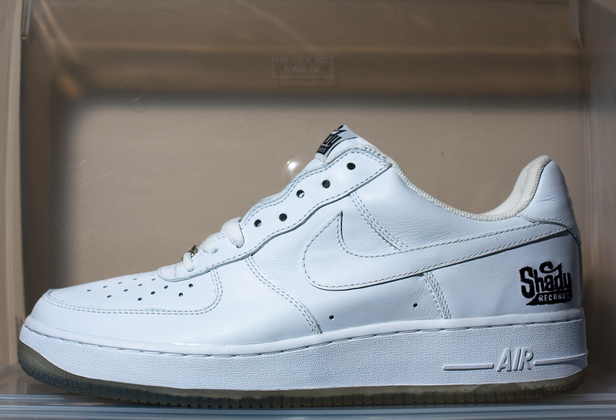 The final Air Force 1 gifted to the Shady Records back in 2004 featured a white/ice colorway, similar to past artist exclusive AF1s from the early 2000s. The Shady Records version had the label's logo on the heel and through the translucent outsole below, along with a sockliner repping for D12, 50 Cent, Green Lantern, and the rest of Shady Records. Rumored to be limited to 50 pairs, the 'ENCORE' Air Jordan 4 retro was given to friends and family, and a small amount released to the public through a contest. 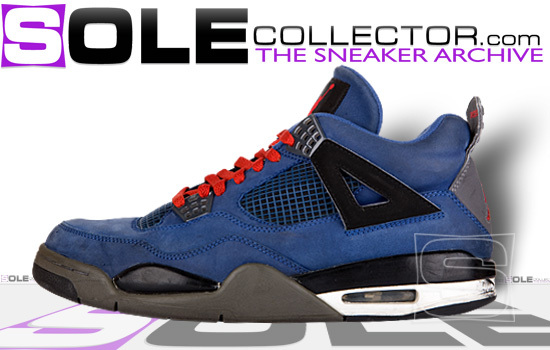 Em's first Air Jordan 4 sports an eye-catching blue suede build with red, grey, and black accents. ENCORE and Eminem branding is also seen behind the tongue and heel tab. Eminem and the Swoosh joined forces once again in 2006 to raise money for a great cause. 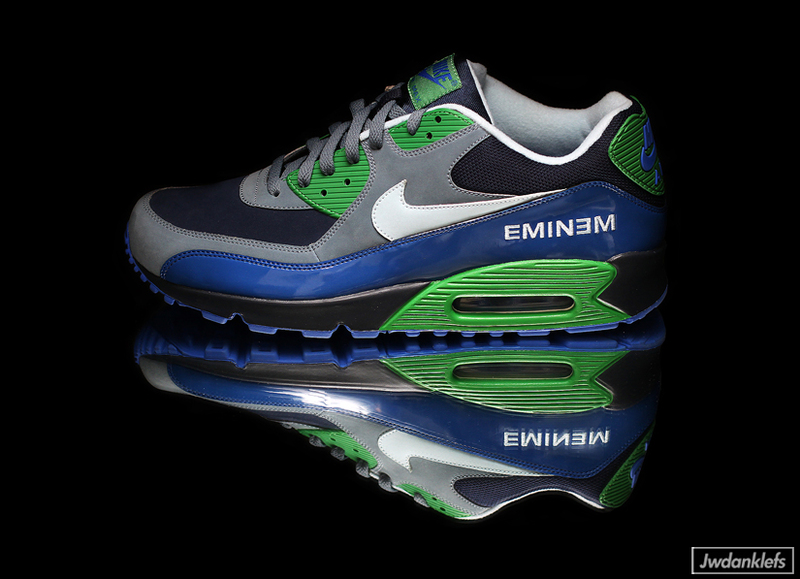 Looking to benefit Eminem's Marshall Mathers Foundation, Shady Records dressed eight different Air Max styles and limited them to eight pairs to be auctioned off via eBay and several Nike retail locations across the globe. The charity pack was headlined by the "BIG PROOF" Air Max 1, honoring the memory of Eminem's best friend and D12 member Proof who was gunned down that year. 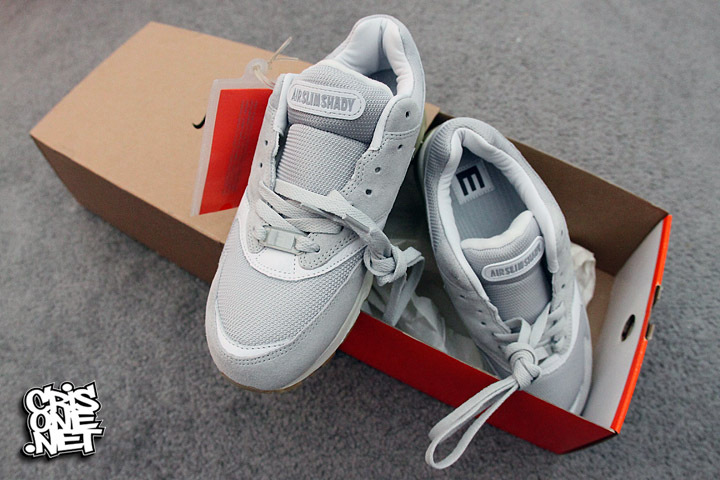 The Charity Air Max series included an Air Max 90 by Eminem. Limited to eight pairs, the Air Max 90 featured a patent, suede, and leather build covered in a combination of blue, grey, white and green. Standard Eminem branding was also stitched into the heel on these. Eminem's group D12 inspired this entry into the Charity Air Max Series, which utilized the Air Max 93. The D12 Air Max 93 had a grey base, an elephant print mudguard, and the D12 logo stitched in the toebox. Eminem's Satellite Radio station Shade 45 was also represented as part of the Charity Air Max series with this Air 180 runner. 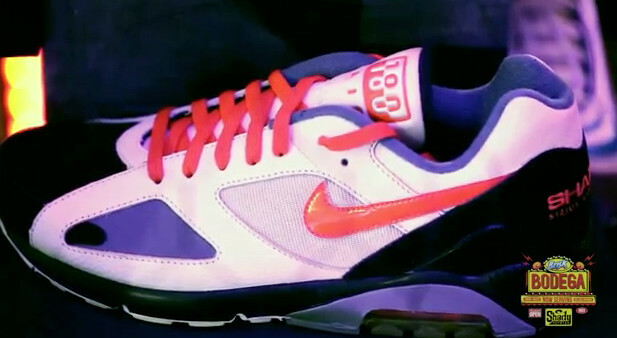 The "Shade 45" Air 180 featured a White/Black-Grey-Orange colorway, with Shade 45 branding stitched into the heel. 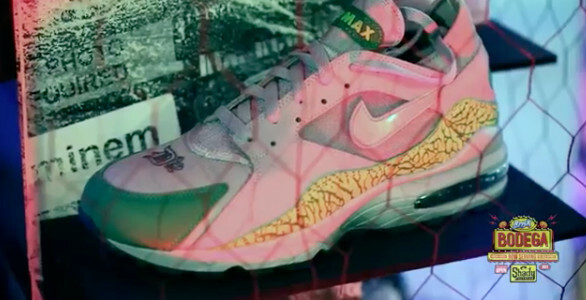 Em's manager and Shady Records co-founder Paul Rosenberg designed his own Air Max 95 for the Charity Air Max series, covering the fan-favorite runner in a Goliath-inspired color scheme. The Goliath theme was brought to life by Rosenberg with a grey leather base, white and orange accents, and subtle graphic-printed underlays. 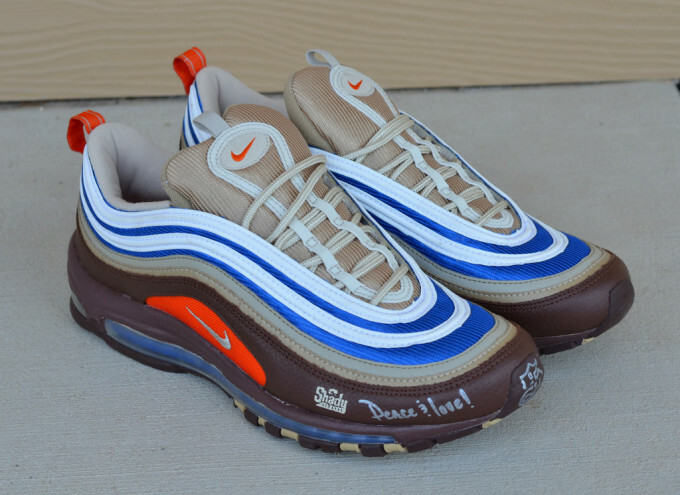 The Air Max 97 was another style auctioned off in limited numbers as part of the 2006 Eminem Charity Air Max series. 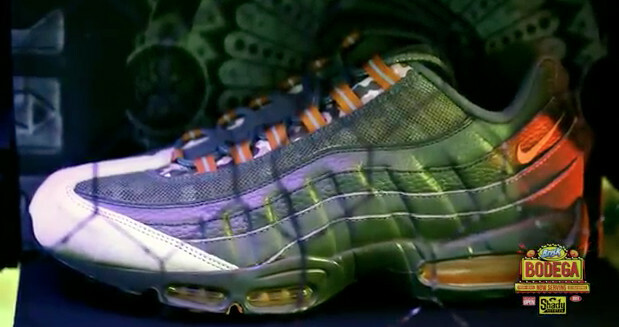 The 97 featured a traditional build, covered in a combination of bright hues. Shady Records branding was placed on the lateral toe on this version. 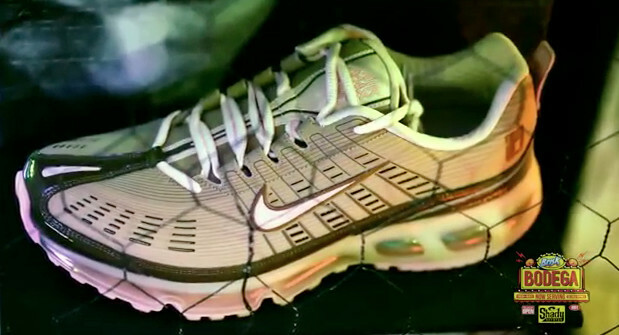 Current Odd Future manager and former Marshall Mathers LP product manager Christian Clancy designed the Air Max 360 as part of the Eminem Charity Air Max series. The former Interscope Records exec hit the the shoe off with a subtle color scheme and Interscope branding on the heel. 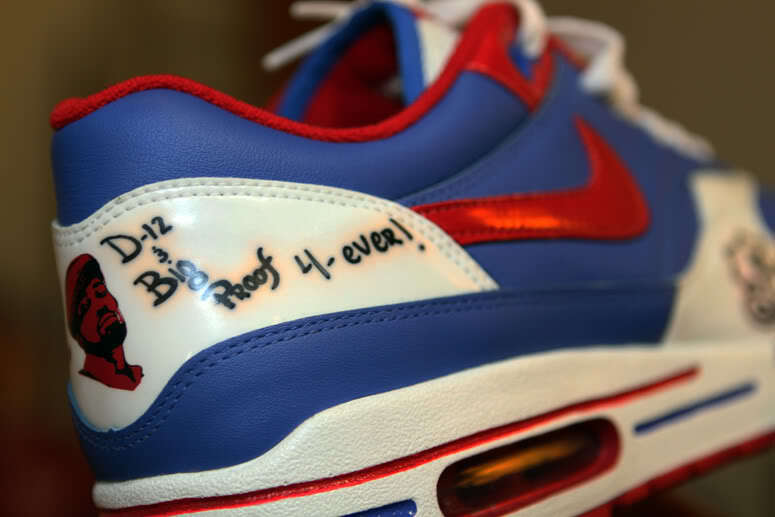 The 2006 Eminem Charity Air Max series was closed out with an Eminem-branded version of the Air Max 2003. 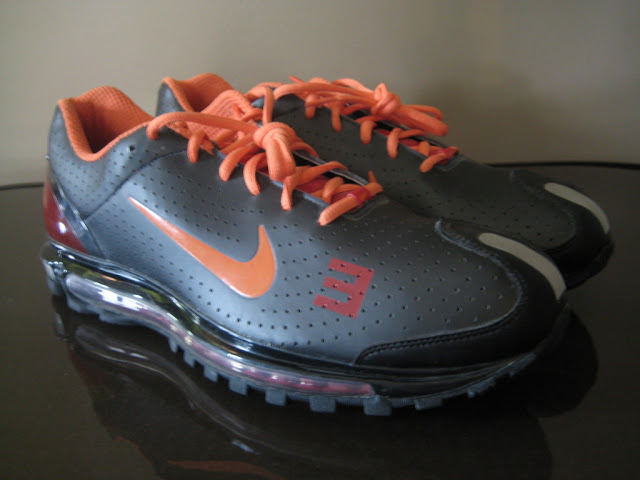 The runner had a black base with orange accents, and Em's "E" logo screenprinted on the forefoot. 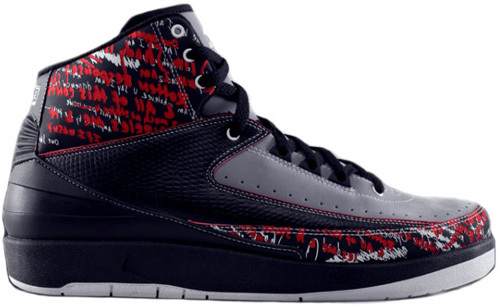 Marshall's first-ever pair of Air Jordans growing up, the Air Jordan 2, became his favorite and eventually helped promote the launch of his 2008 autobiography "The Way I Am." A combination of grey suede and black leather took over the sneaker, with Eminem's lyrics imprinted along the mudguard and collar. The shoe was limited to 313 pairs, in honor of Eminem's hometown of Detroit, and released exclusively online via the Air Jordan Flight Club. 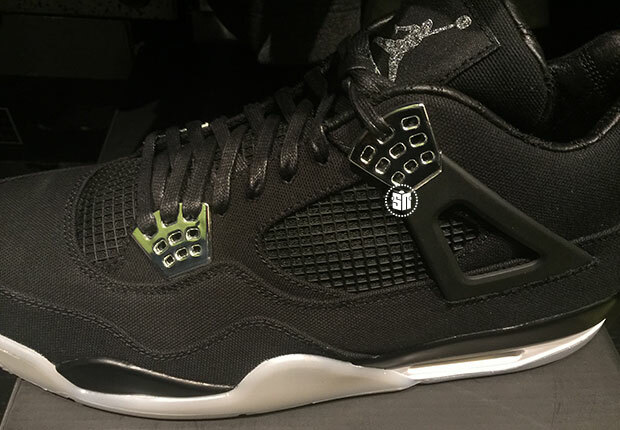 The just-leaked black Eminem Air Jordan 4 is styled with a Carhartt twill upper, chrome accents, waxed laces, leather interior and a translucent outsole. There's also an impression of Eminem's Jason Vorhees mask on one of the heel tabs, while his reverse "E" logo adorns the other.